We all know that shoppers love coupons. Customers like to feel that they are being given something discounted or free. purchased manufacturer direct, and featuring your product or service, is a great tool to connect with potential customers. Maybe it is a discounted veterinary service. Perhaps a product that is used by dog owners. It might be a service or product that everyone uses but you wish to target dog owners. 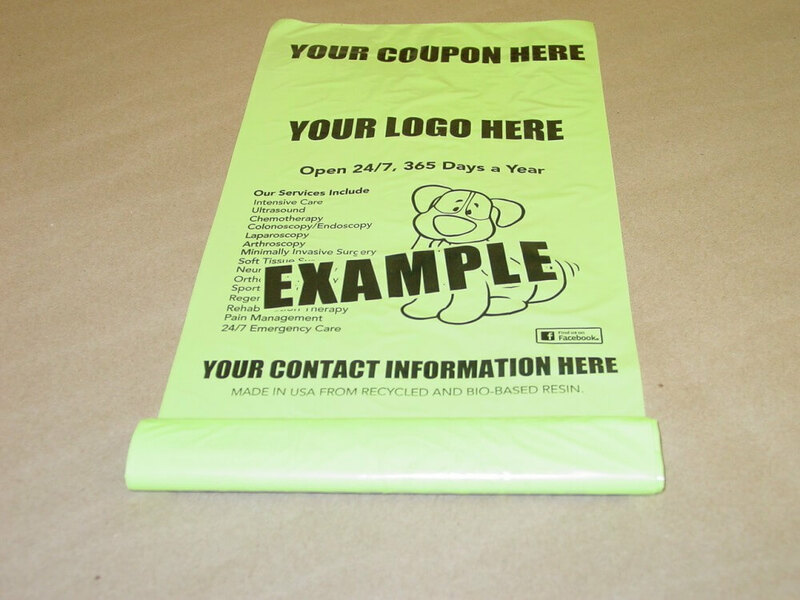 Your coupons is printed across the upper portion of the dog waste bag. When the customer removes the bag from the dispenser they are able to remove the coupon for later use. Despite removing the coupon, the customer is still left with a full sized bag to pick up the dog waste. 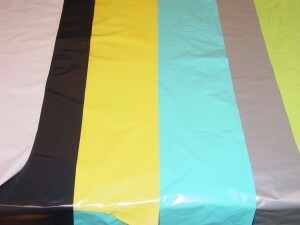 We have lowered the minimum for custom printed bags! 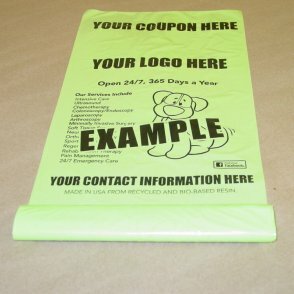 Custom printed private label dog waste bags are now available in as few as 2,000 bags!! Have an idea for a design but need it put together? We can help. Complete process usually takes less than 3 weeks. If you need a faster fulfillment time, tell us. It may be possible. The small 15 count roll bags are not current available in the removable coupon format but are available as a custom printed bag.